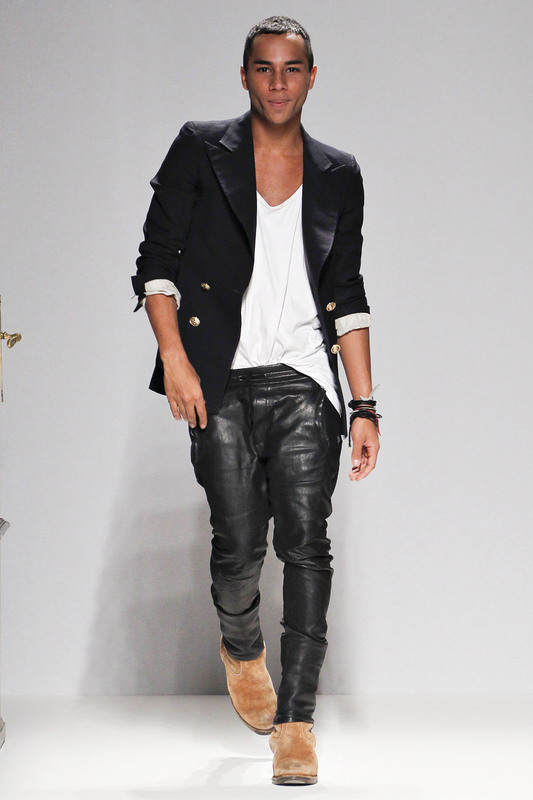 While in Miami, Olivier Rousteing, designer behind the edgy brand, Balmain, became inspired for his Spring 2013 Collection. He claimed that the trip influenced his work by incorporating Cuba because of its black and white tile floors and wicker chairs. Random, huh? Well, more like BRILLIANT! He’s a 27 year old fashion genius! 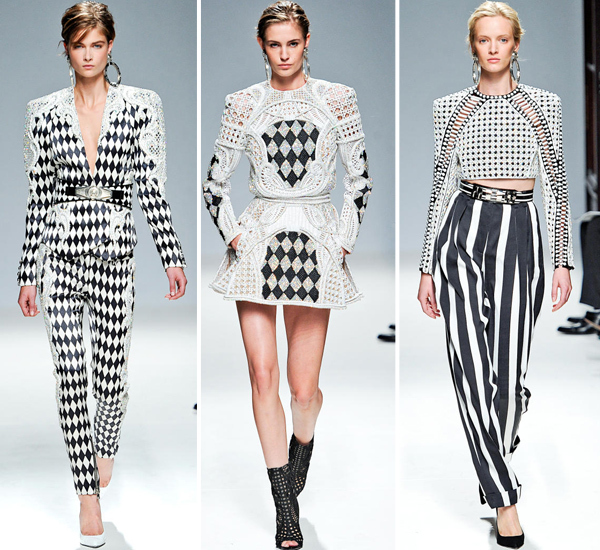 He completely hit on the monochrome madness of black and white with a sixties inspired twist. 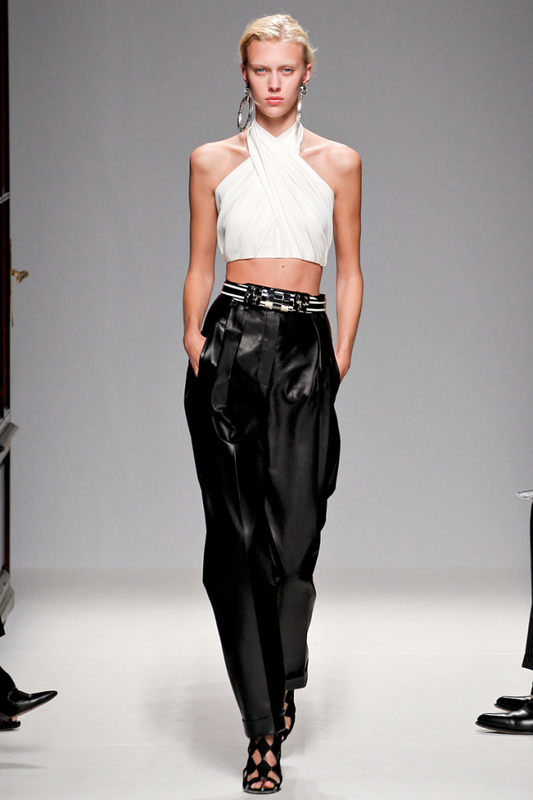 Last spring was color block themed, while this spring, basic black and white is back. Although personally, when did Black and White ever leave? They are considered “classic” for a reason and will never be outdated. 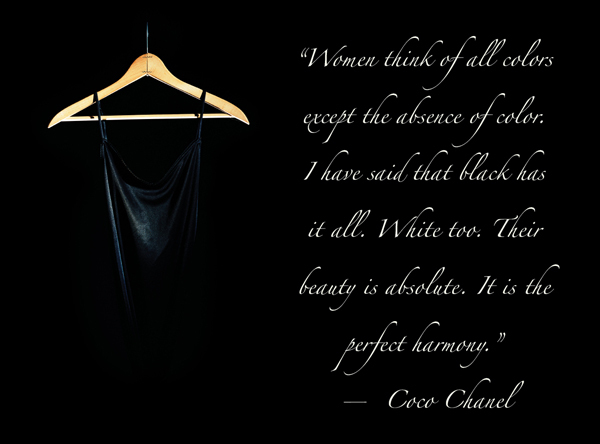 Miss Coco Chanel has approved this message. Would you, Could you, Should you, Balmain? Check out my favorites from this season!